The perfect seat for working, our Lule office swivel chair offers contemporary style. A must-have for any self-respecting workspace. Putting in overtime this week? You’ll appreciate Lule even more. Its generous cushioned upholstery makes it suitable for longer sittings. 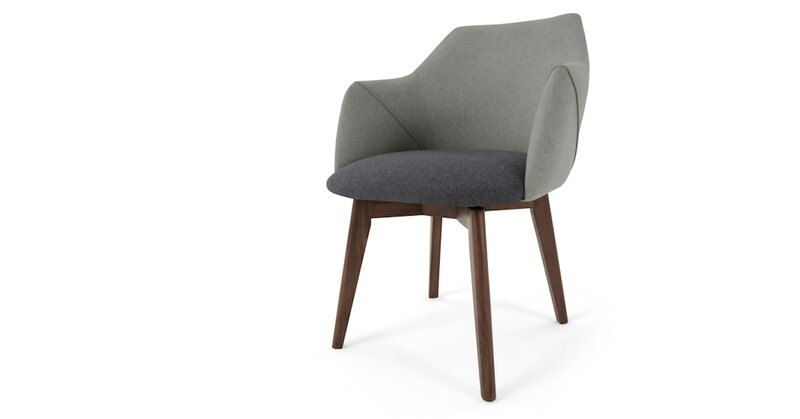 Crossed walnut legs and a curved back and sides create a sophisticated silhouette that makes it a modern classic. We can’t take our eyes off of it.